I love a seasonal menu. Who doesn’t?! Autumn is my favourite…I mean, I think I say this every change of season, but Autumn/Winter is definitely my fave. Autumn means we welcome pumpkin, butternut squash, leek, cabbage, brussel sprouts. Good bye cold salads (well most of the time). Hello comforting meals and warming stews. Who doesn’t love that?! Prezzo in Euston was seriously buzzy when we visited on a Tuesday evening, just a couple of weeks ago. And quite rightly so. We did look into whether something was on in the area, but we think it’s just a popular spot. Luckily, we had a table booked, although service was a little slower than expected even when overly busy. But we weren’t in a rush. …including two salads, four pasta dishes, a pizza, a starter, a side and plenty of new drink options. All of which sound delicious, from the Mediterranean Vegetable Pea Fusilli and the Oak Smoked Salmon Salad to the Beetroot & Goats Cheese Gnocchi and Pear & Elderflower Cooler. Pulled in by something alcoholic, we started with a Gordon’s Pink Gin Spritz – can’t resist the pink gin! 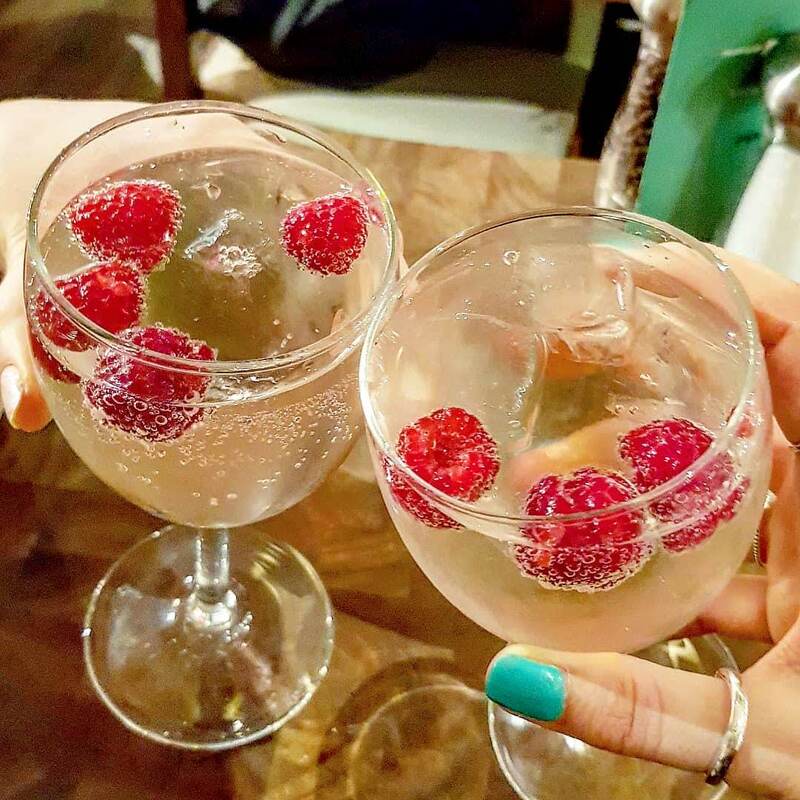 Served with prosecco, lemonade and fresh raspberries it was delightfully light and refreshing. 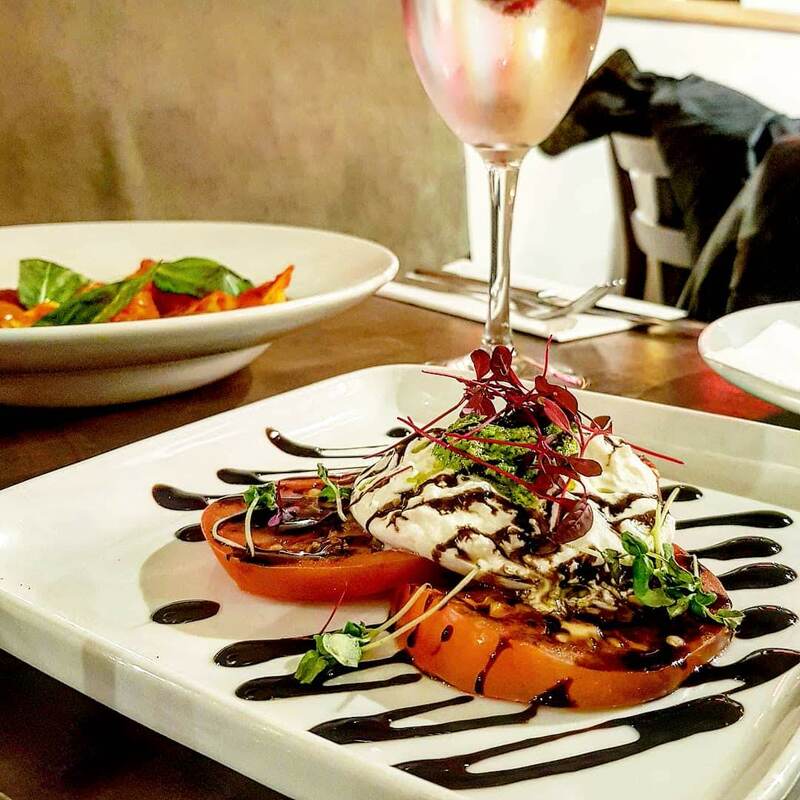 The new starter, The Caprese Salad – Tomato and burrata cheese with basil pesto and balsamic glaze – was a juicy, beautiful mix of fresh and potent flavours. Nutty, creamy and rich. We actually ordered this to arrive as a side – the best decision. The Nduja & Pecorino Ravioli (Spicy Italian sausage, fresh basil and pomodoro sauce) was fantastic. Deep and rich in flavours, with a light tomato sauce it was a fab meaty choice. One I’d definitely be making again. Portion-wise it was pretty reasonable too! 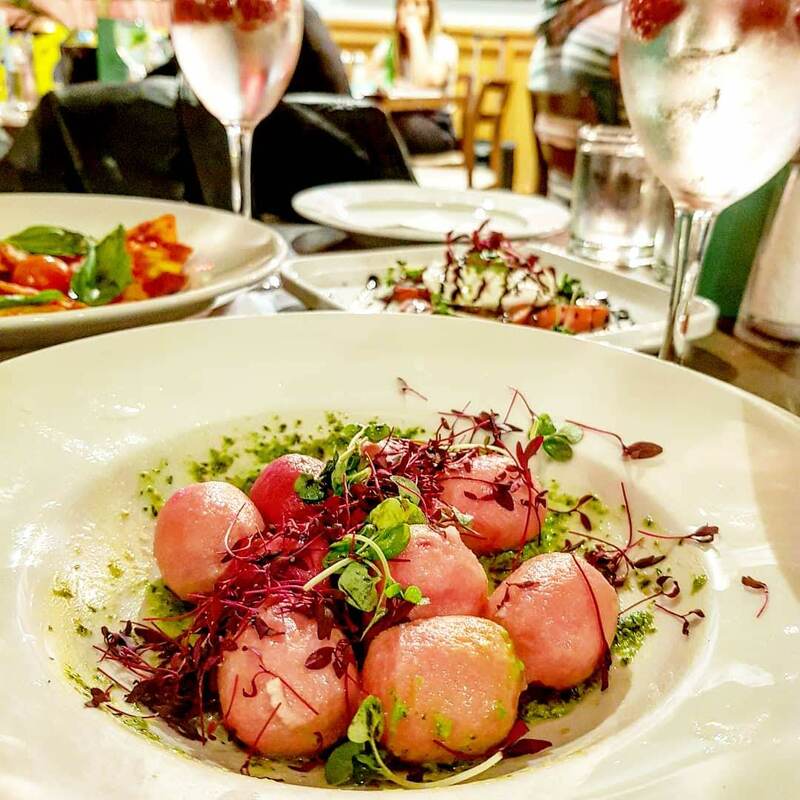 The Beetroot & Goats Cheese Gnocchi (Beetroot gnocchi filled with Goat’s cheese, served with basil pesto) arrived a beautiful pink colour, and was simply delicious. It was light on the beetroot, with just enough goats cheese inside to be creamy. Tossed in basil pesto, and garnished with green and purple leaves, it looked beautiful and had a touch of nutty, herby flavour to add into the mix. Food envy was certainly kept at bay. Always a must, the Tenderstem Broccoli & Cauliflower. I can’t resist a good Tenderstem. It goes with EVERYTHING. It was perfectly a la dente. 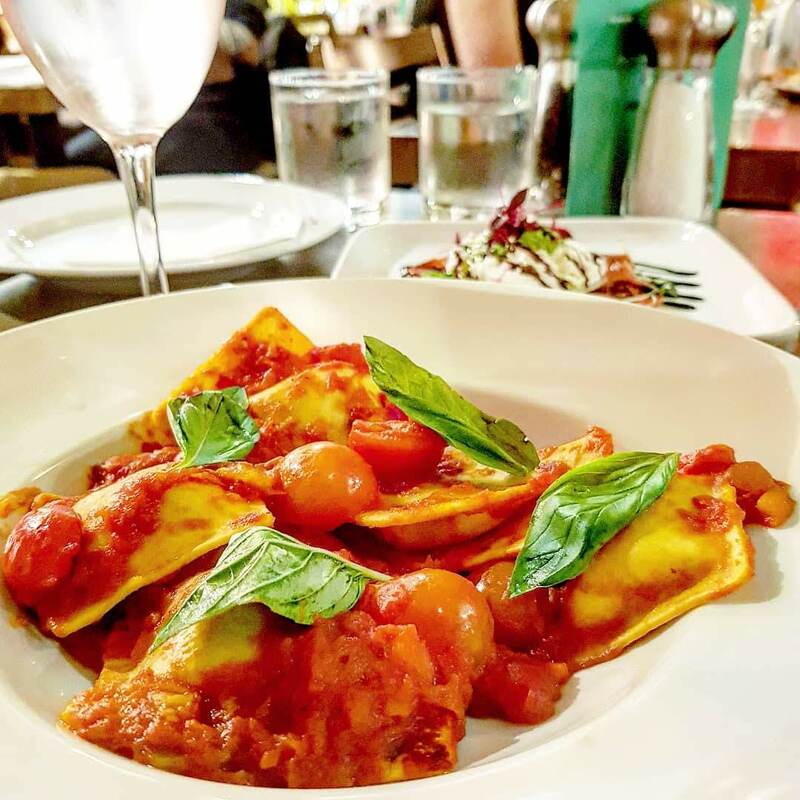 The Nduja & Pecorino Ravioli wasn’t the only dish which was reasonable in size, but they weren’t too heavy either. Meaning one thing…space, or enough room, to squeeze in a dessert! And maybe another cocktail. 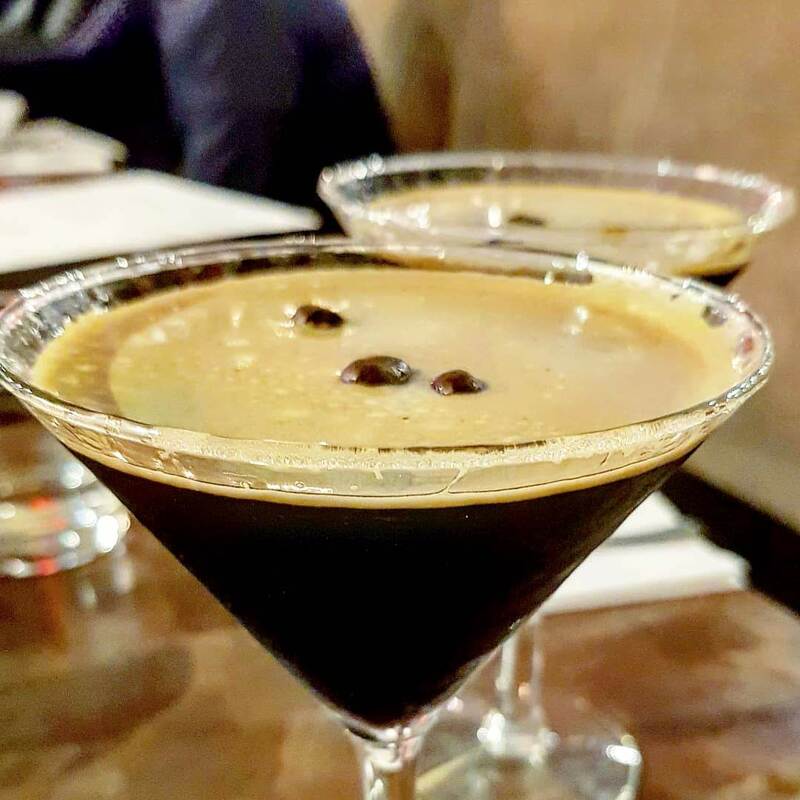 The Espresso Martini is new to the Prezzo menu, and trust me when I say it’s a decent one. I should know…it’s my go-to. 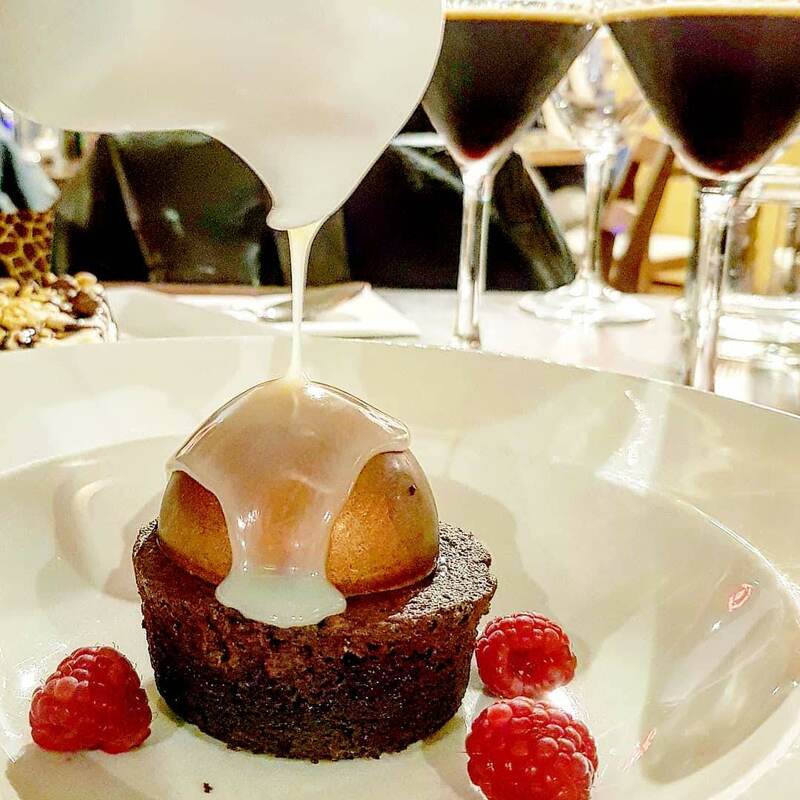 The Chocolate Brownie Dome is filled with caramel, and served cold but with warm white chocolate sauce which melts the top. It’s very sweet, rich and chocolatey and tasty served with the fresh raspberries. It’s not overly moist, and I was hoping it’d be warmer – but still pretty good for any chocolate lovers. 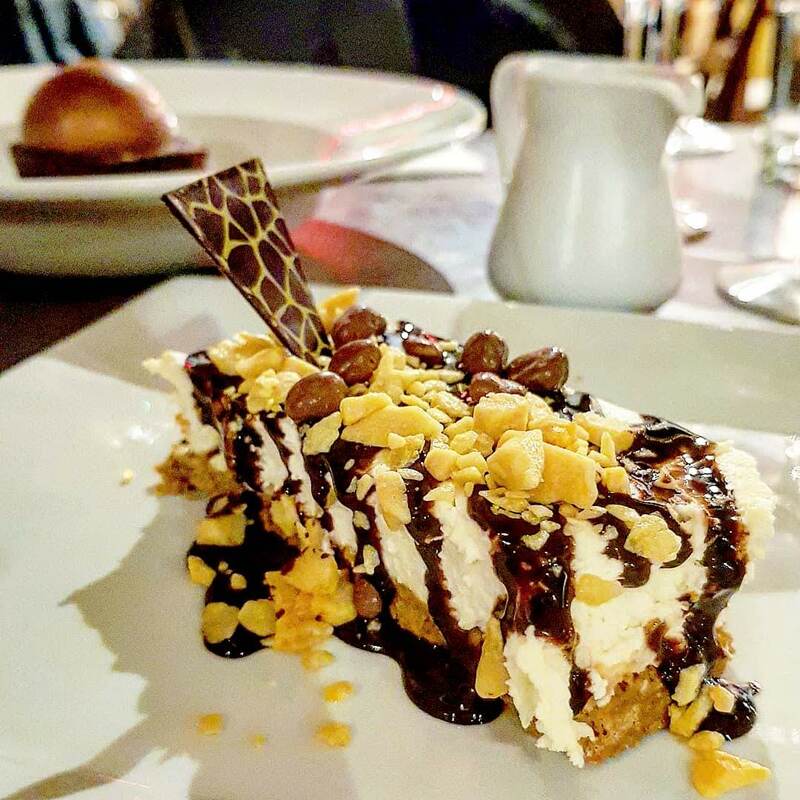 The Honeycomb Smash Cheesecake (topped with crunchy honeycomb pieces coated in chocolate), now comes in a smaller size served with coffee. It’s seriously creamy, with a fab biscuit base and isn’t overly sickly. This stole the dessert show. One fantastic finish to our meal. Price: With starters ranging from £3.95 to £6.75, mains from £8.30 to £15.70, and desserts from £3.50, it’s not too bad at all. Some of the branches are on Tastecard too! Food: We were pleasantly surprised at how good the dishes were. They were beautiful and tasty! Go for the Gnocchi. Drinks: Cocktails are a must when they’re so cheap. The espresso martini is worth a try, but we did really enjoy the Gordon’s Pink Gin Spritz. Atmosphere: Busy, relaxed. We weren’t rushed through service. It’s a great chain to sit and enjoy a slower dinner. Wait: I’d book if possible. It was really busy on the Tuesday! A thoroughly enjoyed dinner all-round. A fab way to spend a Tuesday evening – got to have a mid-week plan! Have you been to Prezzo recently? 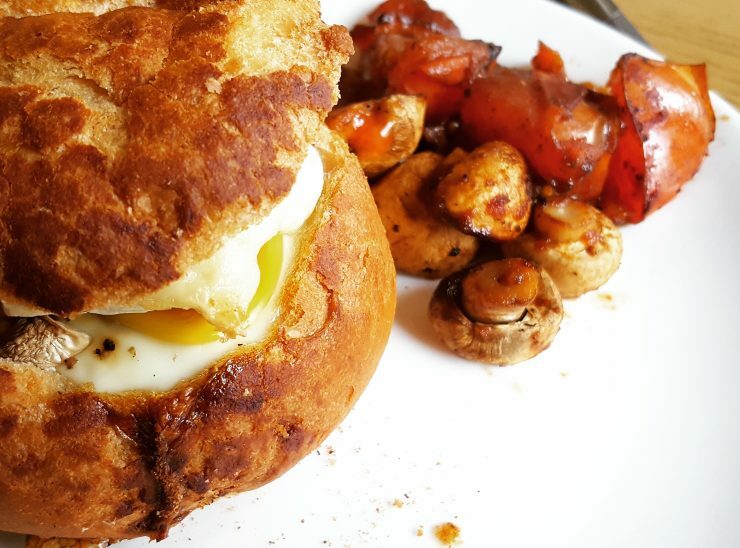 What’s your favourite autumn/winter dish/ingredient? 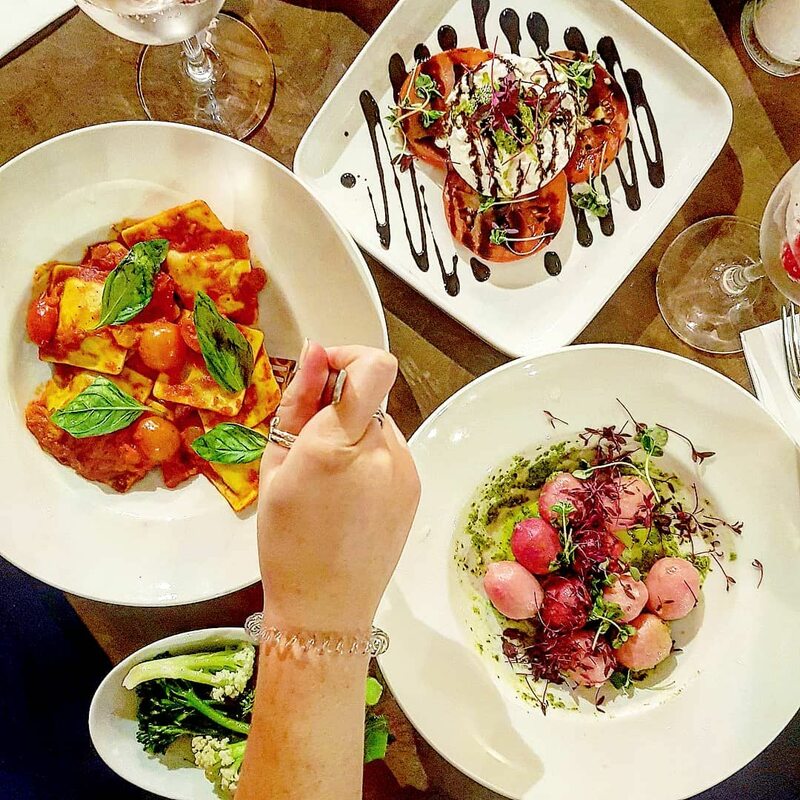 *I was invited along to review the new Autumn/Winter menu at Prezzo. All views my own. The Beetroot Gnocchi look and sound amazing – beets and goat’s cheese is one of my favourite flavour combos!